Biography: Alice Sjöblom (born Nilsson, 1924). Jazz, pop and classical singer and actress. Formed The Swe Danes with Svend Asmusen and Ulrik Neumann in 1959. 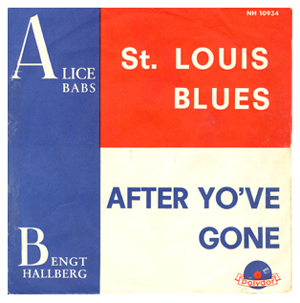 Sang and recorded with Duke Ellington, who wrote the Sacred Concerts for her voice. 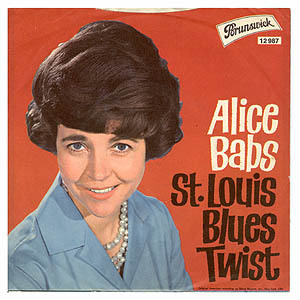 Alice Babs has made more than 800 recordings. Record info: Some unusual lyrics. 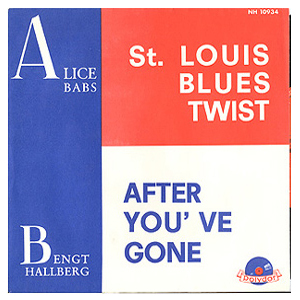 This recording made it to #2 in the swedish pop-chart "Tio i topp" in 1963. Also released in Germany, b/w Jazz Fuga (Brunswick 12987) and in the U S of A.